Your brother came at 36+4 but i'd love it, if you could wait until 37 weeks. 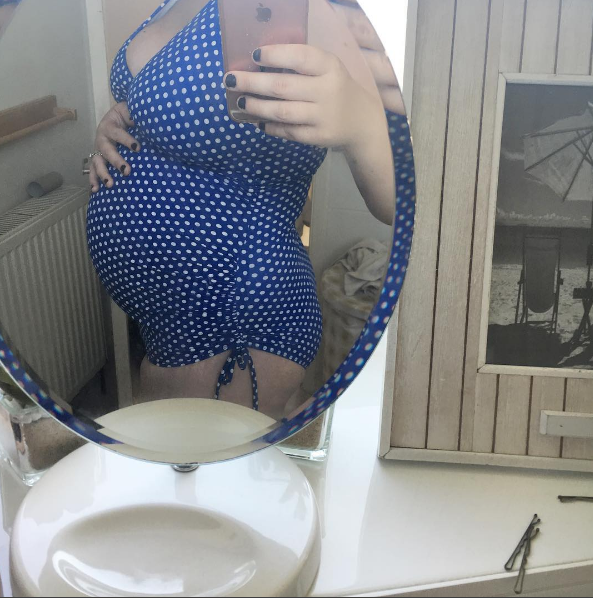 Even though I have done this pregnancy and "labour" malarky before, i'm still really nervous about it all. When will you arrive? Will you be later than your brother? Will you be earlier? It's all up in the air. One thing I think of is the actual birth, will it be like your brothers? Will you arrive early, with waters breaking, contractions and a c-section? Will it be the same but a natural birth? It's all so confusing when you have a condition like mummy's, a condition I pray wont be passed onto you. Your birth is going to be magical either way i'm sure but I would love to have a natural birth and cuddle you straight away, something I couldn't do with your brother. Daddy had the first hold. So far your movements are pretty sporadic and sometimes non existent somedays due to an anterior placenta, so you're worrying mummy like mad all the time. That wont change, I was the same with your brother and still am, and I will be worried forever, I hope that as you get bigger i'll feel you more. Everyday that goes by in this pregnancy, we get closer and closer to meeting you. Your 20 week scan is a week today and I am hoping they can tell your gender as i'm still unbelieving that we'd be lucky enough to blessed with a baby boy and a baby girl. I always imagined a life with all boys, and was totally happy with that, but to be told that we'd actually be parents to a girl and a boy is so exciting. You're going to be the most beautiful little girl, and the best little sister ever. 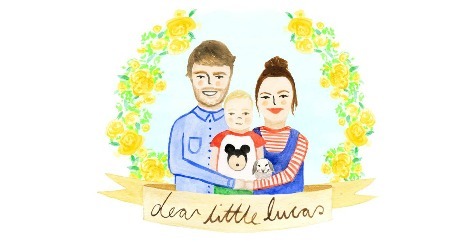 Lucas is going to adore you. You're going to grow up to be the best of friends. I hope anyway. All I can say is that I cannot wait to meet you in 15-20 weeks, you're going to be beautiful, wonderful and mummy and daddy are just over the moon and happy with life. You and your brother are the most perfect additions to our family and we'll always be a happy family, with smiles, giggles and love. I love you so much already, Iris Raine.